As passionately as ever, Severn Cullis-Suzuki voices her concern for the environment. The Canadian activist who has been advocating for greater sustainability since childhood still brings the same conviction to the issue that she showed when she first appeared on the world stage as a young girl. From the Canadian province of British Columbia, she speaks with passion about the nature in her home region on the North American west coast, stressing the need to protect such natural wealth for future generations. 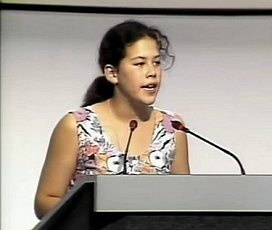 Severn Cullis-Suzuki speaks at the Earth Summit in Rio de Janeiro in 1992. The memorable speech made a lasting impression on a global audience, launching Severn into ongoing involvement in international efforts to promote sustainability. She speaks about all aspects of the concept – big themes like climate change, global warming and the chronic international dependence on fossil fuels. But she also emphasises environmental awareness on a small scale, pointing to local and individual initiatives to reduce pollution. From early childhood, Severn was exposed to an activist mentality at home. 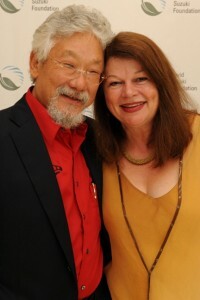 Severn’s father, scientist and broadcaster David Suzuki, is a famous environmentalist in Canada and beyond. For decades, Suzuki (78) has hosted a popular documentary series with the Canadian Broadcasting Corporation, The Nature of Things. Since 1991, he has led his own environmental organization, the David Suzuki Foundation. Severn is on the foundation’s board, along with her mother and sister. 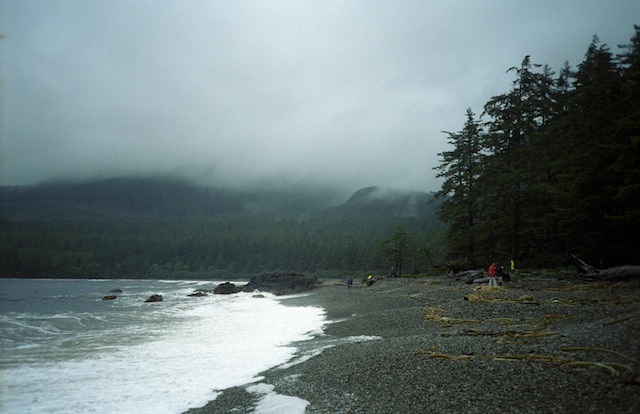 Coastline in Haida Gwaii, the archipelago in British Columbia where Severn Cullis-Suzuki lives with her family. After a trip with her parents to the Amazon area in Brazil, where she learned about deforestation through intentionally lit fires, she decided with some girlfriends to establish an environmental club for children, the Environmental Children’s Organization (ECO). They undertook small-scale projects such as beach clean-ups. Then they heard about an impending high-level meeting on sustainability, organized by the United Nations: the Earth Summit of 1992 in Rio de Janeiro. Severn immediately felt drawn to the event. “We thought there needs to be someone there to remind those leaders of what is truly at stake, and who is actually going to be affected by the decisions they are going to make. And so we thought: let’s go and be that voice!” A fundraiser was held, and enough money was raised to send five children and a supervisor to Rio in June 1992. Severn’s parents decided to go along. The speech was rewarded with prolonged applause. Some delegates gave a standing ovation as Severn and her friends left the stage and walked through the plenary room. Severn had no idea how lasting that impression would be. Footage of the speech went around the world, and she received invitations to speak abroad. People requested copies of the speech on video. A few years later, it appeared on the Internet; it can be seen on YouTube. It gave Severn a lasting reputation as ‘the girl who silenced the world for five minutes’. That reputation, coupled with her continuing involvement, has given her a permanent role as an advocate for sustainable development. In 1997, she was invited to participate in the committee that worked on drafting the ‘Earth Charter’, a statement of ethical principles for global sustainability, socio-economic justice and peace. Severn is a member of the International Council overseeing the initiative. Even so, her perspective has changed considerably since her speech at the Earth Summit. Whereas in Rio she was convinced that world leaders could solve environmental problems if they only listened to her plea, in the years and decades that followed, she increasingly considered that an illusion. She attended the follow-up conferences in Johannesburg in 2002 and again in Rio de Janeiro in 2012 (‘Rio +20’), and thoroughly adjusted her views on environmental issues and the best way to achieve solutions. Rather than expecting steps to achieve more sustainability from politicians and world leaders, Severn has pinned her hopes mainly on ordinary people, on a small scale. She strongly resists the idea that major environmental problems like climate change are too large and inscrutable to tackle with small, individual measures. This is an edited version of a chapter from the book ‘Children who changed the world’, published by PixelPerfect in November.